The Chambers House presents “Linens and Lace”, an exhibit of late 19th through mid-20th century textiles from the Chambers Collection. From beautiful tablecloths, to handmade doilies, and fashionable accessories, each item is a piece of art. 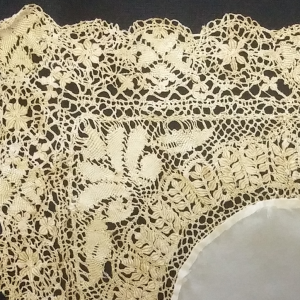 “Linens and Lace” will be on exhibit March 1 through April 30. Tour hours are Tuesday – Friday 10 am – 3 pm and Saturday 10 am – 2 pm. Please call 409-832-4010 to reserve for groups of 10 or more.